By understanding his domestic hot water system and using data from LogCheck, a resident manager avoids an unnecessary service call. 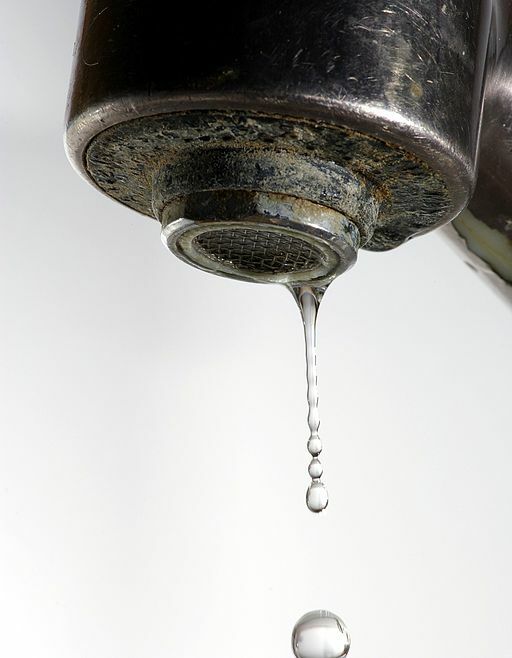 Hard water can lead to scale buildup, which reduces heat transfer and can leave tenants with cold water at the faucet. Dan knew his building’s domestic water system well. He also knew that a service call for that system would be pricey. So when he received an increase in tenant complaints about domestic hot water, he investigated himself. Dan’s team had been using LogCheck, so his readings were easy to access. He quickly reviewed all of the records and graphs of numeric data trends for any equipment that could affect the DHW. Besides the drop in the holding tank temp, he didn’t see anything out of the ordinary. But, what the trends didn’t reveal turned out to be just what Dan needed to diagnose the problem. 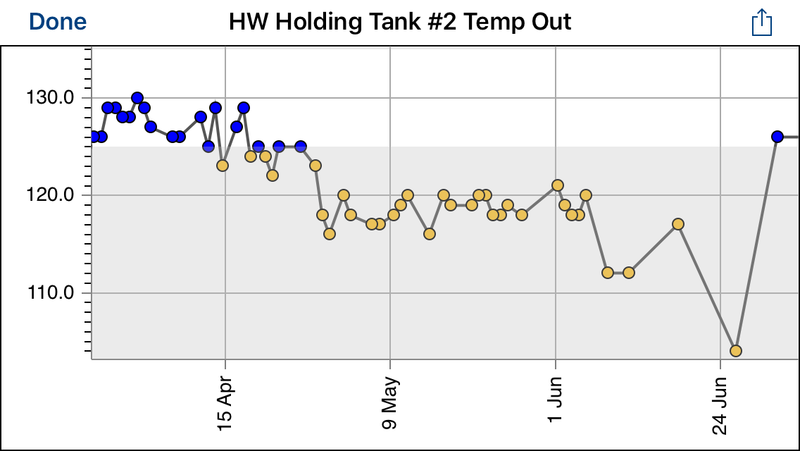 The only thing changing was the temperature in the hold tank, plummeting to about 100F. By the time it reached tenants, the water was even colder! Since Dan knew his system well, he had a strong suspicion that scale buildup was the culprit for the dropping temperatures. He also knew how to fix it. Rather than spend extra money on a service call, he flushed and thoroughly cleaned the tanks himself and sure enough, the temperatures came back up to normal and his tenants ceased their calls about the hot water. Easier to explain things to management. The records and the graphs he used to diagnose the issue came in handy with management too. Dan could explain to the property manager how he came to this diagnosis and clearly show that the treatment worked perfectly. He is also collecting data that help determine the service frequency for the tanks to avoid the problem in the future. His property manager was not only appreciative of Dan’s work, he was also able to use LogCheck to explain the incident to the Executive Board. The executive board was impressed with the good info and pleased with the results. Graphs make it very easy to explain things to outside stakeholders. Notice how temperatures slowly drop until the cleaning is done and they jump back up to where they should be.